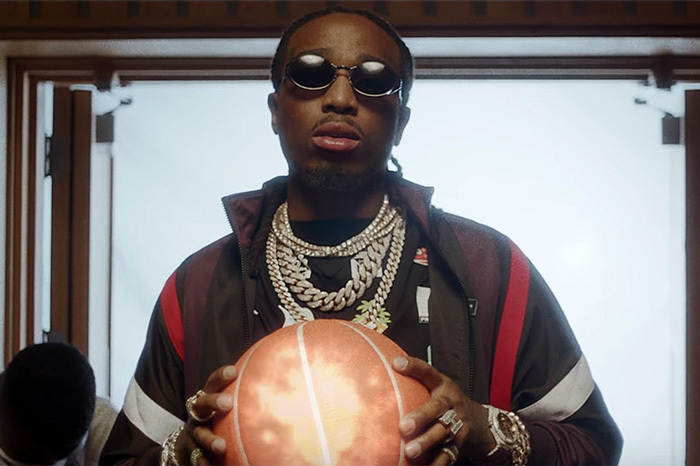 Home / Quavo / VIDEOS / Video: Quavo "How Bout That"
Video: Quavo "How Bout That"
Quavo brings his basketball skills to the forefront in this new Space Jam-inspired video for "How Bout That?" The Migos star player masterminds his team's success with some help from "Quavo's Secret Stuff." "How Bout That" is a cut off the Atlanta rapper's solo debut album Quavo Huncho, which features Drake, Kid Cudi and Travis Scott.